The first are a pair of Soloticas that were generously sent to me from wrlens.com. Although I haven't personally ordered through their website, the people I talked to were very kind and their website is very user-friendly since it is already set up in English. 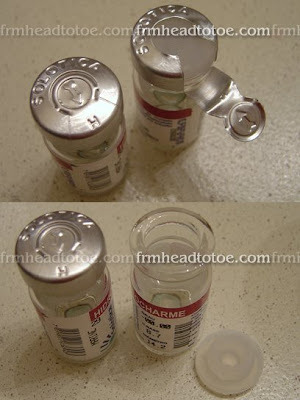 They also have an informative blog with real photos of the lenses in eyes as well as video reviews. From my experience, they are also quick to answer e-mails. I already have tried ocre, mel, and ice so I thought I would get something new this time. Verde Marine is an aqua color which is a very bright bluish-green. In most photos I've seen of this color, the color has leaned more toward bright blue but in natural light on me, it looks almost hulk green at times. Maybe it is because I have very dark eyes and have red undertones in my eyes. I have no idea. My package of goodies. 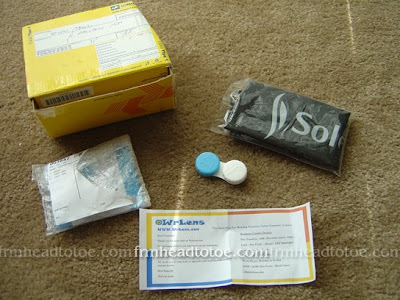 There was a nylon Solotica backpack-sack, bubble-wrapped lenses, lens case (color matches lens color), and a note. It came like this. Weird that it was ripped. 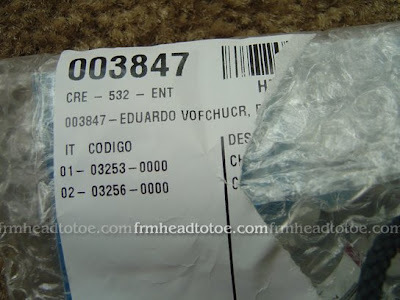 But I think the name is the same guy at wrlens who sent me the package. Pretty lenses! See how the pattern gets more translucent in the center? 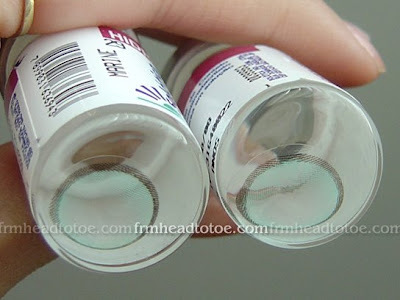 This gives the lens a blended pupil for a more natural look. And a couple of me just being silly. Overall, I do like these lenses but I think I prefer my hidrocharme ices. I would've liked these to have been a bit more blue and I'm not sure if it's just the camera or what, but I think these make me look more tan. They are not a very natural color. I also didn't do any color-correcting in my photos and the camera made me look either too yellow or too red with these on. Very strange! They are very fun and dramatic lenses though. If you like drama, these are for you. I also think they'd be more flattering with lighter hair. Hey Jen, you look great! I'm interested in the Solotica natural colors..do you have any pictures of those? I like the Hidrocharmes, but I'm just afraid that the limbal ring looks too dark.If you could post some pics of the Solotica natural colors or send to hikarii247@hotmail.com, that would be great! What kinds of Solotica lenses do you have in all? I would like to do a comparison =) Thanks! I bought the Mels (after your review of them!) and the Verde Marine and I found the Mels gorgeous and very subtle and natural. I didn't like the VerdeMarine at all and never wore them out because they were very fake looking on me, but I agree they are good for those looking for a dramatic change. I really like these on you! It's not a color for everyone though. Fortunatly you have your Hidrocharme Ice! sj: I like dramatic change sometimes, but yeah I haven't worn these out yet either. Gregg: Yes, and I do love my ices! Oh, your eyes look amazing. Cool! But the lenses on the site are reaaaly expensive! luckkyy u got it for free...I have a question, are solotica colored lens comfortable? I think the hidrocharmes look better on you too. Anonymous: This is the natural color of your eyes? I'm so jealous! I bet they are beautiful. :) I will see what I can do for different eye colors. ✿Ji✿: Yeah, it's frustrating that they run a bit expensive. It's because shipping from Brazil is crazy!! Banana: Comfort depends on the person, but soloticas ARE thicker than other lenses. I think all lenses are a bit uncomfortable! But I only wear any lens for short periods, like only 2-6 hours. 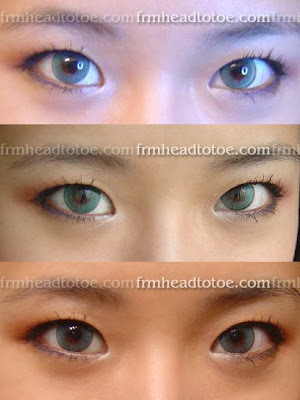 Best color lenses I've seen! I love how it shows a little of your real eye color so it looks really natural. hi! i think the contacts look beautiful on you! and im trying to order a pair from wrlens too but i was wondering, it says 1 lens is 33 some dollars, does that mean literally 1 lense or 1 pair of lenses? lol thanks again and pleasee answer back? Is wrlens a secure website?Anyone who had ordered from that website before? They look "OK" but not great. The lens circumference is far too large for her eye shape. Next time go for the size smaller than 8.7, I think it's 8.4. Those look like they overlap her natural iris too much. Not enough white showing, especially with her almond shaped eyes. I'd spot them a mile away. 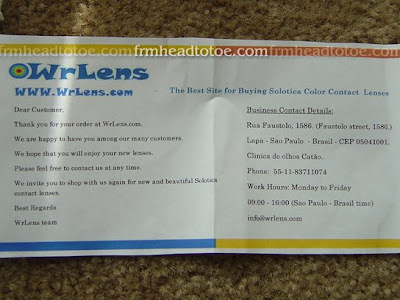 These look really nice, I am so grateful for your blog as its where I first heard of the Solotica lenses! I have recently ordered a pair of Hidrocor Mel (though I've been wanting to for about a year now), and am eagerly waiting for them to arrive. I ordered them off wrlens which was not a website originally listed in your blog entry, but I'm glad to see this update :) Now I'm convinced they are a trusted site and won't run away with my money haha. I appreciate your blog so much! It's awesome to know exactly WHERE get soloticas and it's even more awesome to see them on somebody before hand! Hi, would you pls give me your honest opinion which grey coloured contact is that you would recommend or you've liked best the ones you've had and tested? They don't look good on you sorry , maybe something less obvious like honey color . No way on hell I would think your eyes are natural .